When you need a ride for any special occasion, ET Limo is at your service. We have a fleet of vehicles you can choose from whether you need a lovely bridal car, a sleek limo to impress a date, a nice car for corporate events, parties, and more! 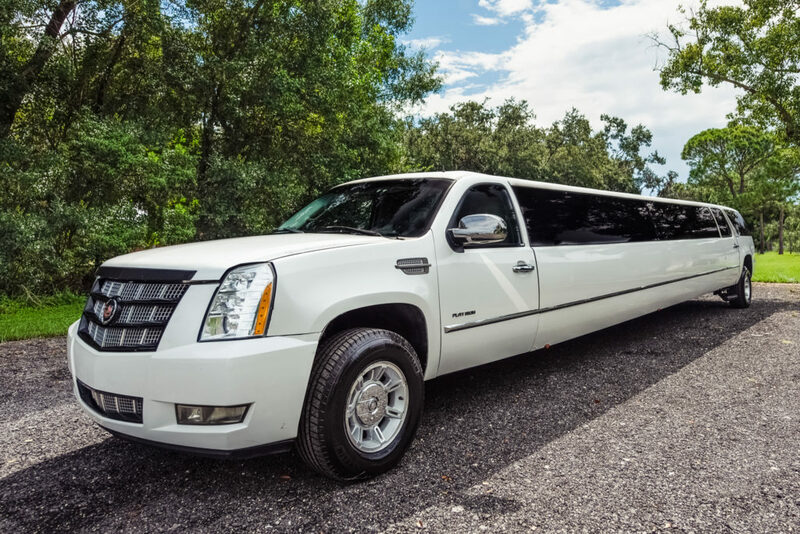 Whether you’re riding solo or with a large group, ET Limo has a vehicle just for you. We’re all about riding in style and comfort. We have a team of professional and experienced chauffeurs who will drive you to destinations in and around Lakeland, FL. Aiming for an awesome entrance at a party? Arrive in a Hummer Stretch Limousine. Looking for a fun and exciting ride with friends on your way to a concert or sports game? You will most certainly enjoy an amazing trip aboard the Krystal Koach Party Bus. Our fleet of vehicles are always clean, well-maintained, and kept beautiful. ET Limo services are always memorable ones for our clients. We give you the assurance that you’re getting to your destination safely and on time! We can drive you in and around Lakeland, Tampa, Brandon, Haines City, Auburndale, Winter Haven, Valrico, Polk City, and more. ET Limo has been around for over a decade and for all these years, we take pride in the exceptional service we provide. Our limo rides are always classy and elegant but affordable enough to work for any budget. If you’re looking for a luxurious limo ride, call ET Limo today. You may reach us at 888-556-7377 for a free quote.